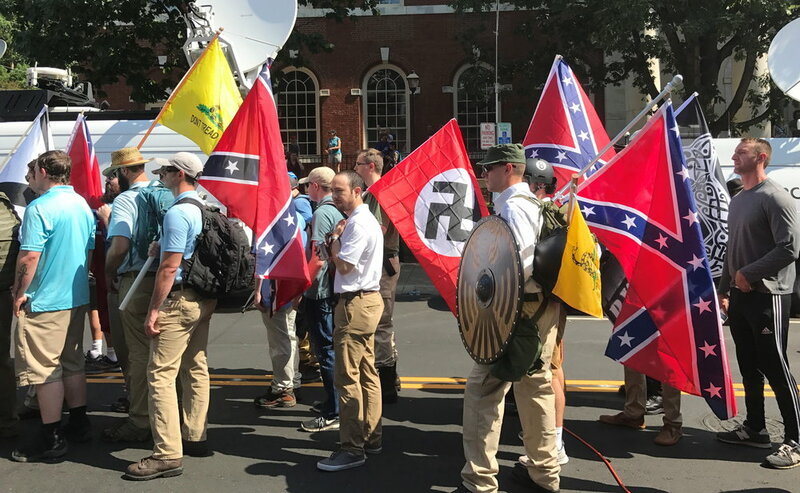 The nazis are back in Charlottesville. Yes, really. Complete with tiki torches. Not in large numbers, and not for long, but there you have it. And, I got nothin'. Well, I do. I have better things to do. Have you all seen this movie? It's awesome, and actually based on a true story, if you want to read the review. I think it's even on Netflix. Much more worth your time to see than whatever is going on in Charlottesville with...who? I've already forgotten. Oh well. Enjoy. Many of us saw the recent Billy Joel photo where he sports the yellow Star of David on his coat during a concert. 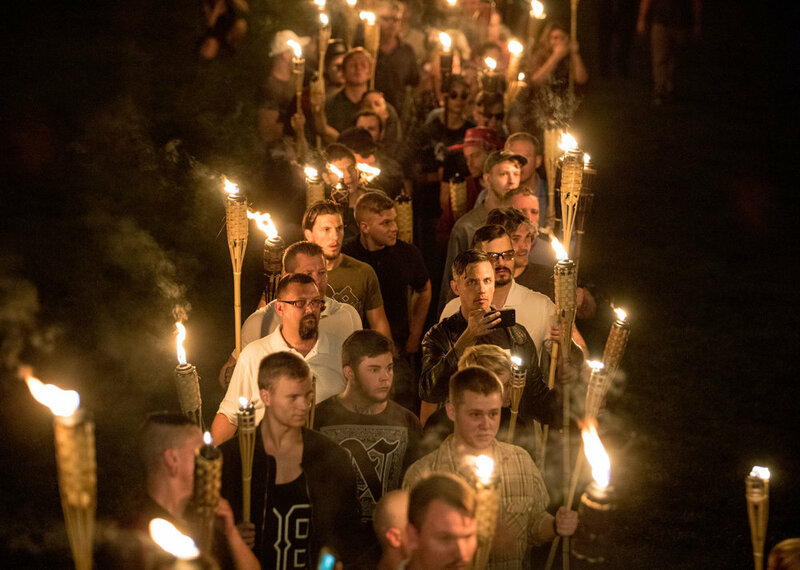 This symbol of repression, hate, unspeakable horror was viewed by many, in the context of a 2017 rock concert, as a message of pride -- something of a flip-off to the neo-nazis now sliming the streets of Charlottesville, Va and other towns in this country. The fact that Joel is Jewish made all the difference; the fashion house of Miu Miu was recently shamed into removing a line of clothes featuring yellow Jewish stars. As far as I can find, Joel said something like it was time to stand up; spokespeople for Miu Miu offered no real explanations for their artistic choice. Are the choices supposed to speak for themselves? As nonverbal signals, with little or no verbal clarification, they remain open to interpretation. If you don't know anything about Billy Joel's family history, here is a moving YouTube documentary of the Joel family's experience in Hitler's Germany. The YouTube documentary is an hour, so won't take your entire evening. I was particularly interested in Billy Joel's nonverbals as he and his brother meet with the children of a nazi party businessman. We invite you to watch and then weigh in on the continuing life of the infamous Jewish star. What do you think? How do you interpret these recent uses of the yellow star? It's Pride Week in Austin! Austin Pride kicks off this week, and just as in previous years, CBI members will participate in the Pride Parade that will be taking place on Saturday, August 26th. It's bound to be quite a celebration, so if you have the time, go and check it out. Coincidentally, about that flag. It happens to be really similar to the flag at the center of a bit of controversy, which is discussed in this article. 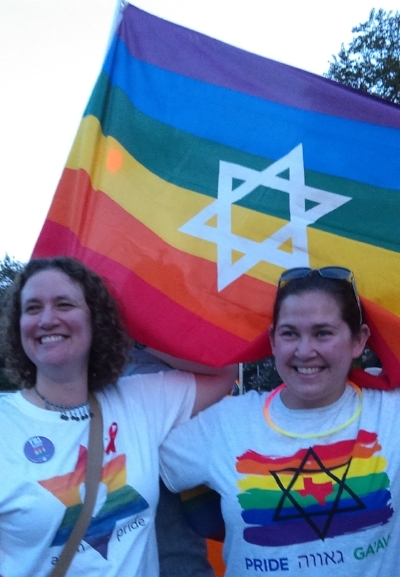 Apparently several Jewish participants at a Dyke March in Chicago who were carrying a rainbow flag with a Star of David on it were kicked out of the parade because the organizers said the march was anti-Zionist, and the flag too closely resembled an Israeli flag. No, I'm not kidding. Really. But don't just take my word for it -- here is the march organizer's statement, if you'd like to read it. So if you're going to participate in Austin Pride, have a great time! And don't get kicked out. Now that a few days have passed and the edge has worn off of the shock, the women of Sisterhood have begun to react to the Charlottesville tragedy in some constructive ways. People I've talked with have expressed sadness and fear, but also courage and resolution. There is a sense of optimism - that this isn't 1932. That, this time, we know who and what we're facing, and we don't stand alone against it. Our Sisterhood, through its affiliation with Women of Reform Judaism (WRJ), has made a donation to the local Reform Congregation in Charlottesville (which, coincidentally, is also named Beth Israel), to help them with their security needs and social justice efforts. You can read about it, and other positive actions the WRJ is taking in response to this tragedy, in this Advocacy Update from WRJ. So I found a synagogue that spoke to me and I was embraced by the love and care shown to me there. We'd like to hear from you, too. If you want to share your thoughts, feel free to enter them in the comments.